So you’re thinking about playing in a EuroMillions syndicate, and would appreciate some help in finding the right one for you. No problem, that’s why I created this page. To explain a bit more about EuroMillions, the syndicate options open to you, and help you decide where you need to go next. 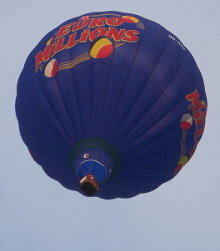 Being one of the most popular lottery games in Europe, EuroMillions is played across 9 European countries. And that’s why the jackpot gets so big. Because the ticket money from all 9 countries is pooled togeter to create the prize fund. So those jackpots can regularly get as big as €100 Million, and even bigger. The game itself is a Powerball type draw. Meaning that 5 main numbers are drawn from a set of 50, and then another 2 balls are drawn from a separate set of 11 numbers. These are rather quaintly called the ‘Lucky Star’ balls. To win the jackpot you have to match all the 5 main balls and both of the Lucky Stars. Splitting a game into two draws like this often confuses people when it comes to their chances of winning it. In short though, EuroMillions is a tough game to win. The chances of a jackpot win are 1 in 116 million. When you compare that to a game like the UK Lotto which is 1 in 13 million (a 6 balls from 49 game), you can see the difference. That makes EuroMillions almost 9 times more difficult to win than UK Lotto. Making Syndicates A Great Way To Play It! Which is exactly why it’s such a popular game for syndicate play. Players don’t care if it’s 10 times harder to win, if they are playing in a group and are able to buy 50 times as many tickets! Especially when sharing out the jackpot each syndicate player can still walk away a multi-millionaire! So How Do You Find a Good Syndicate? If you want the cheapest route but with the most work – then you can always starts your own syndicate. Of course you need to find enough people to make this worthwhile. If you don’t want the work, then you can join somebody elses syndicate. But now I only ever play in syndicates that other people run – because trust me, running your own is painfully hard work! If you can find a local EuroMillions syndicate that will let you join, then this is going to be the cheaper option. Ask around at work, or family and friends. But don’t just join anything. Make sure you know the person running it, and trust them to be organised and professional about it. Also make sure the group is playing the way you want to. Are they big enough, and therefore buying enough tickets to boost your chances? Are they playing the draws you want – just Friday, or both weekly draws? Do you like how they handle small wins, do they have a proper agreement in place etc, etc. These days, this is my personal preference. It doesn’t suit everyone, but I personally I also prefer to pay a professional company to do all the work for me. This way I can trust them to reliably buy tickets for me. And then claim and distribute the winnings properly. It also means I don’t have to worry about small group sizes, and the terms and conditions are all laid out in detail. Paying them is also a heck of a lot easier too – normally you can use a credit/debit card and pay monthly. Far less hassle than trying to find small change each week! So Where Can I Play Online? There are quite a few options for EuroMillions – and they seem to be growing. I have a few categories of favourite syndicates for EuroMillions. For straightforward regular play with the best raw boost to your chances of winning, I recommend ‘Play Lottery’ (previously called ‘Big Fat Lottos’). You get 55 tickets in every Tuesday and Friday draw – meaning 55 times the chance of winning. If there is a special draw on – one of those guaranteed jackpots, or extra bonus Millionaire Raffle prizes, then I recommend grabbing some extra entries with You Play We Play. 50 tickets per group here, but the great thing is you can buy one-off entries – meaning you can ramp up entries when you want to. Finally if you’re looking for lots of different games and draws instead of maximising your chances in just EuroMillions – then also take a look at Love My Lotto because these guys cover UK Lotto, Plus 5, EuroMillions, Raffle and Daily Draw, all in one simple subscription. So you can’t really go wrong if you choose one (or all) of those. With a professional syndicate like the ones I use, they take responsibility for claiming the winnings and distributing them on to you. For small wins that happens pretty much instantly. Typically they build up in an online ‘account’ or ‘wallet’ until you want to withdraw the winnings. But if your group hits the jackpot, it will of course take a few days to a few weeks for the claim to be processed and the money paid out. Just the same as if you were claiming the prize yourself. And yes, you can still choose to remain anonymous too. 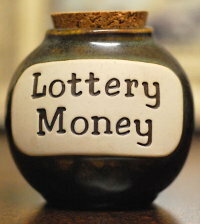 The Raffle has become an important part of the game for players in the UK. Some players are unaware that this is a UK only add-on game. None of the other countries involved in EuroMillions are included in this. So your chances of winning the £1 Million Raffle prize are much better than the jackpot. It’s important to double check when you join an online syndicate that the Raffle is included, if this matters to you. Because it will only be included if the tickets are being bought in the UK. The syndicates I mentioned above all buy tickets in the UK so automatically include the Raffle too. Hopefully that gives you enough information to decide what kind of EuroMillions syndicate suits you best. Your next step is to start asking locally if that’s your preferred route. Or you can head over to our online syndicate reviews if you prefer the idea of playing online instead. EuroMillions vs Lotto Odds – EuroMillions Questions & Answers – When Is The Next EuroMillions SuperDraw?